We are the fourth generation dedicated to citrus production, beginning the adventure of internet sales of our products, recently expanded to marketing activities and direct distribution. We offer an alternative system to the traditional purchase of citrus, offering well-being and very healthy fruit, and providing them with a home delivery service for your convenience and so enable them to enjoy a freshly collected food, taken directly from our farms to your home, without receiving any type of industrial chemical handling for their maturation, coloration and conservation. The harvest of the fruit is realized by hand, selecting our best fruits as it reaches its internal maturity, cleaning them as gently as possible, to offer the best quality and freshness and to reach your home in the best conditions. Our main objective is to continue and improve the production that our ancestors began, with a maximum respect for the environment; mixing the use of several treatments of organic agriculture, biological control of pests and water, soil & leafes analysi. 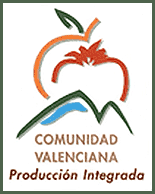 We are certified as "Integrated Production" (sustainable) in the Valencian Comunity. We produce more than 25 varieties, and continue to introduce new trade and exotic varieties, achieving greater product differentiation and offering a full calendar of supply freshly harvested fruit from September to June, with a wide range of varieties both fruit, sedes, plants and other agricultural products that we will incorporate the supply progressively such as the well kwon artichokes from Benicarló city, Extra Virgin Olive Oil, melons, watermelons, a tomato variety special for spreading, etc. In addition, we are developing a genetic improvement program for obtaining new varieties of citrus, we maintain contact with worldwide research centers, to enable the collection and evaluation of new citrus varieties. Complementing the above, and as a result of the current international trend, we also offer the service to request the protection ("patent") of new plant varieties and to obtain the breeder's certificate. We are a company with great experience in the sector, very involved in the full respect of the environment. We offer our customers a wide variety citrus and we are in a process of continuous innovation.